When you watch the Olympics on TV like 4 billion others from around the world, you wonder how these athletes achieve peak performance in their sport. 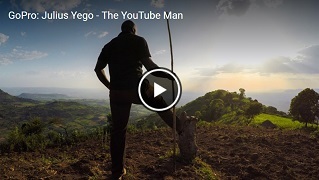 You won't believe the story of Julis Yego because it is out of this world. As you watch the video, think of your own possibilities. How you can learn by watching videos wherever they are presented on youtube, vimeo, facebook, instagram, pinterest, periscope and the list goes on.